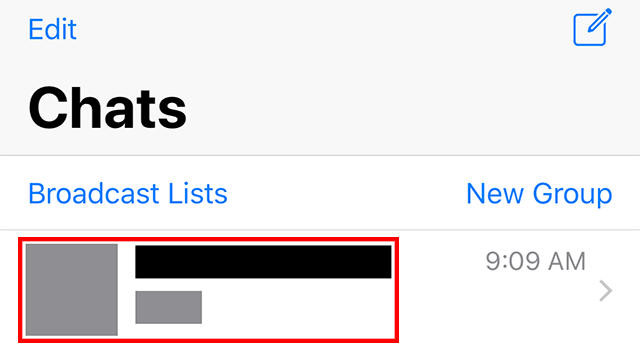 Did you know that WhatsApp allows you to delete chats you’re no longer interested in participating in? Our guide will show you how this works. Note: These screenshots were captured in the WhatsApp application on iOS. 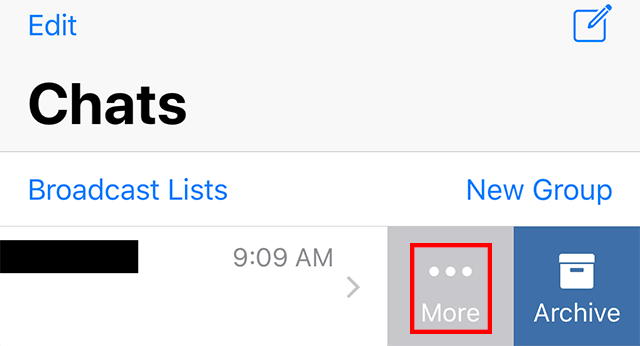 Step 1: Tap “Chats” at the bottom of the screen. 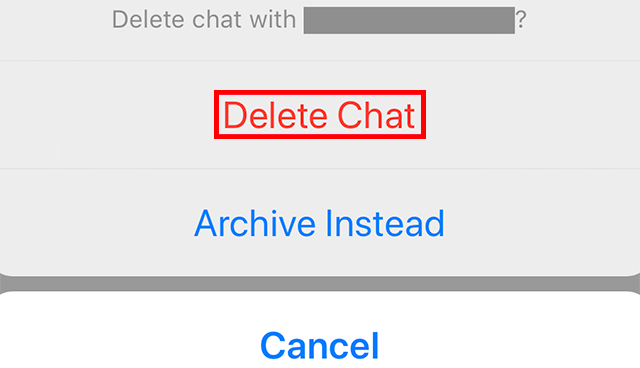 Step 2: Swipe from right to left on the chat you wish to delete. 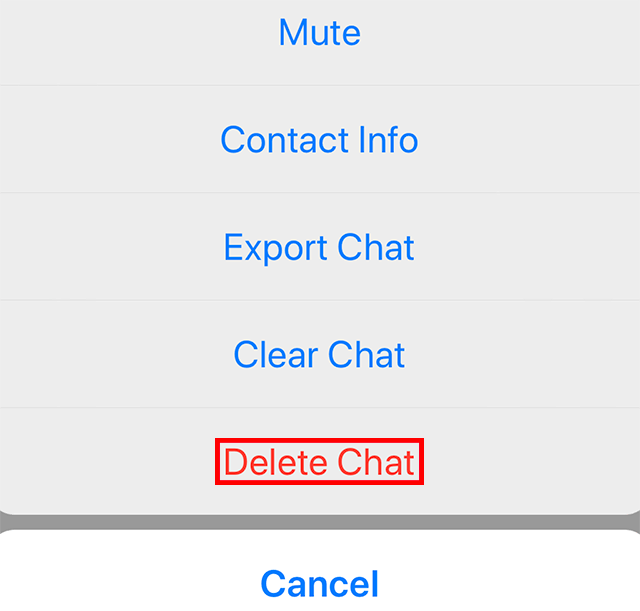 Step 5: Tap “Delete Chat” on the confirmation window that appears to delete the chat.